The holidays are upon us and the thought of the holidays makes me sweat. Not the good cardio sweat though, the stress sweat. And dammit, the stress sweat just makes me fatter, and that fact stresses me out more! I would like to say that I don’t hate the holidays, but I really do. Times have changed and I’m not that kiddo that can eat with abandon and just show up for presents. I am the (reluctant, resentful even?) cook, cleaner and planner. YUCK. The stuff I dislike the most is now my duty on parade. The stuff I hate the most defines (to some folks) how much I “love my family” by how much of it I do and how well I perform. And all that stress makes me want to eat pie. 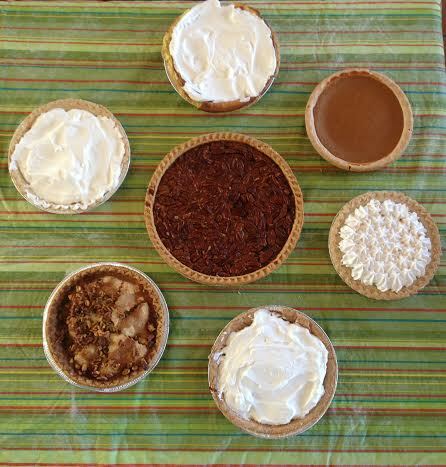 Lots of pie. Oh, when will I get this right? After the pie, maybe? Pass me a fork.